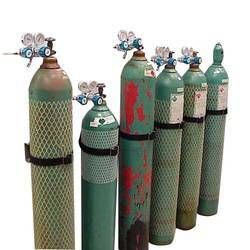 We are a leading Wholesale Trader of helium gas cylinder from New Delhi, India. We are one of the leading supplier of Helium Gas Cylinder which are used in for balloons, blimps, airships, and for breathing in to make a squeaky voice. Helium gas offered by us is much lighter in air and is widely demanded by a large number of clients for its multi purpose usages. Looking for Helium Gas Cylinder ?